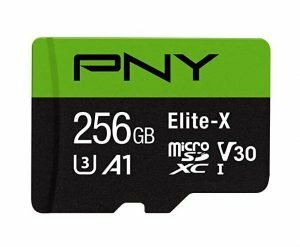 Are you looking for fast microSD cards for your Android smartphones, gadgets, Chrombook laptop and GoPro? An action camera like the GoPro needs high-speed SD card. All microSD card should be compatible with your GoPro camera. However, not all of them will perform the best. That’s why you should get the fastest microSD to unleash the power of your 4K action camera. This list will help you find top rated best microSD card for capturing 4K videos this year. This is the world’s fastest microSD card you can buy. With transfer speed up to 275MB/s, you’ll be very much delighted to access your recorded videos. This also means that you can play your video with stunning quality on 4K UHD TV screens and monitors. SanDisk has made its reputation among photographers for many years. This is one of the highly recommended microSD memory card for the latest GoPro camera. Samsung has this card. The Samsung 128gb 100mb/s (U3) microSD Evo select. This card also has a benefit of it’s high storage capacity, 64 GB, which should be enough. This is the world’s fastest microSD card you can buy.You can play your video with stunning quality on 4K UHD TV screens and monitors. This is also the best microSD memory card for Gopro cameras. With a USB 3.0 reader, you’ll get the maximum speed when transferring files. The Silicon Power microSD card can survive from water, shock and wide-temperatures storage ranging from -40ºC to 85ºC. Fast, large capacity storage, and reasonable price. That’s why I recommend this microSD card by PNY. 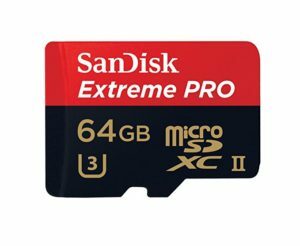 It’s one of the best card for an action camera like GoPro, smartphones, tablets, action cameras, 360 cameras, drones, dash cameras, camcorders, computers and laptops. Lexar makes good memory cards. This card is one of the fastest you can buy. 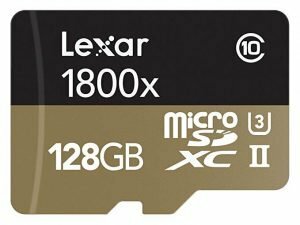 The Lexar Professional 1800x microSDXC comes with its own USB 3 reader, which will ensure that you get the maximum performance. This Sony microSD card is the best for 4K time-lapse shooting. The SD card adaptor will convert this into an SD card. 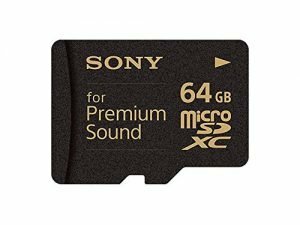 I highly recommend this Sony microSD card for use with voice recorder. It’s designed for this audio recording and playing purpose as it’s labeled for Premium Sound. I highly recommend this as the best cheap microSD for security cameras. It also works with other non-Wyze cameras. Need as much as much storage capacity in a small SD card? SanDisk has this for everyone now. It’s fast enough to use as extra storage on Surface Pro. 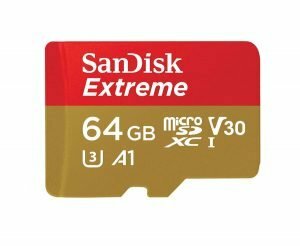 What Is The Best microSD Memory Card for GoPro Cameras? The action GoPro camera needs a high-speed microSD card for the greatest result. 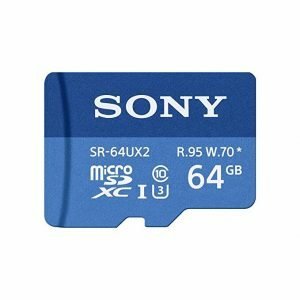 This small memory card is handy for most Android smartphone or tablets. Usually, we now need the class 10 for a smooth Full HD video recording. Some other cards can also support up to 4K video shooting, which is best for GoPro cameras. Depending on your budget, you’ll have a variety of the best choices in this review. There are different classes for different speeds (for writing and reading). For years, I’ve used a number of the micro SD cards. Also, after testing and a great amount of time of my research, the list above provides you the best quality products you can buy this year. 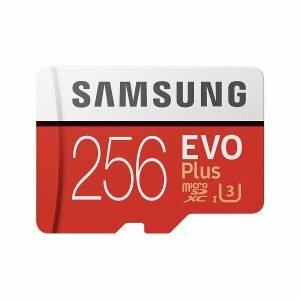 My picks of the best SD cards for most GoPro cameras is based on the qualified recommendations of the action camera maker. As you can see, there are only 3 selected brands, SanDisk, Samsung, and Lexar. In 2016, Western Digital Corporation acquired SanDisk Corporation. This news will only make the product line of memory cards from SanDisk and Western Digital even better.